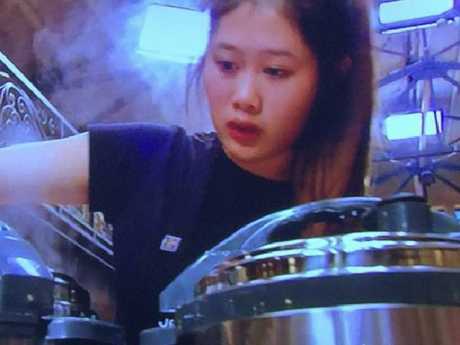 MASTERCHEF Australia fans nearly went into meltdown as they watched their favourite contestant buckle under pressure. 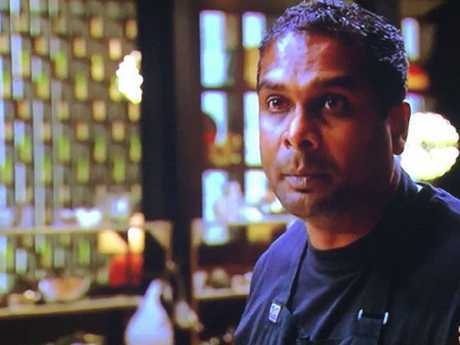 Sashi Cheliah, 39, from South Australia, has been a clear favourite to take out this year's MasterChef title. But fans saw him make multiple mistakes as he undertook the show's latest pressure test alongside Chloe Carroll, 28, from Queensland and Jess Liemantara, 19, from Victoria. The pressure test was set by Ashley Palmer-Watts, who was one of the driving forces behind The Fat Duck and Dinner by Heston Blumenthal. 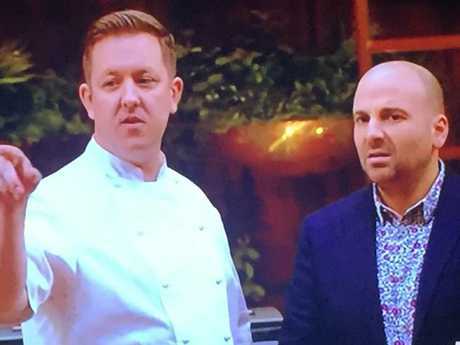 Ashley Palmer-Watts, with judge George Calombaris, devised the pressure test. The dish, titled Sherried Marron, had 90 gruelling steps and took the contestants four hours and 45 minutes to make with 50 ingredients. But before Sashi even really began he forgot to measure his oil, and he accidentally burned part of his 10-page recipe. "One hour is gone and I haven't done much," he said. "I have made another mistake. "I'm going to redo the whole thing again. "The pressure is getting to me." Using his intuition, he managed to get partly back on track with making his consommé until he couldn't go any further without page five of the recipe. Luckily for him, Jess shared her page so he could memorise it and hand it back. "Jess doesn't even have to give me her recipe," he said. "So nice of her to help me out. It's good that I get the page from Jess, because there are some details of measurements that I need to weigh before I can pour the consomme out. "So, it's good that I still can get something from Jess. Thank God. I read the recipe, I took the measurements, I memorise it, then I give it back to her." When Jess realises why he needs her recipe, they laugh and she said to him: "You're hungry mate!" Twitter lit up with praise for Jess for sharing the recipe page with Sashi, as fans praised her for being so kind. Only a few suggested that it was unfair of Sashi to get Jess' recipe page. But despite fans' fears about Sashi's fate, it was Chloe, who failed to impress the judges. Many fans who have trolled Chloe on social media throughout this year's series were glad to see her go. "Don't leave me Sashi. Go home Chloe, it's time," one wrote. "Chloe dead in the water..." another posted on Twitter. 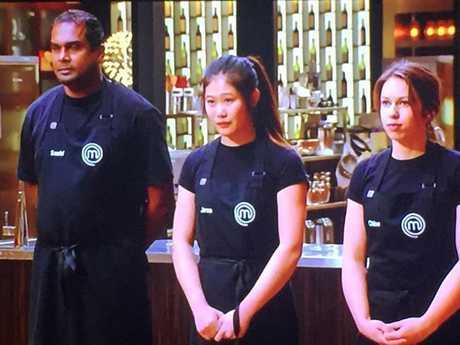 MasterChef judge George Calombaris said her dish "had some obvious problems". Her tartare was "mushy" and the dish "lacked balance". 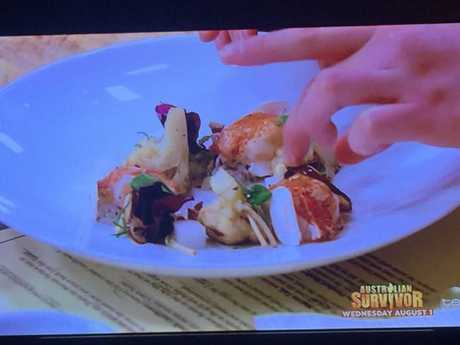 Jess had the best dish of the day which had marron that was "done with finesse". 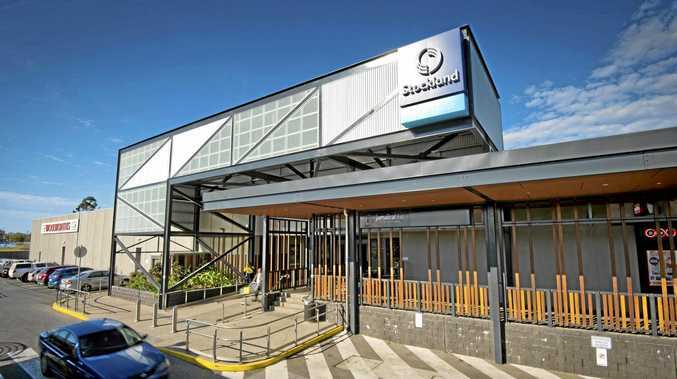 Judge Gary Mehigan noticed Sashi had his "serious head on". He asked Sashi if he was stressed, and he admitted he was. "Yeah, I'm definitely a bit stressed with the dish," Sashi said. 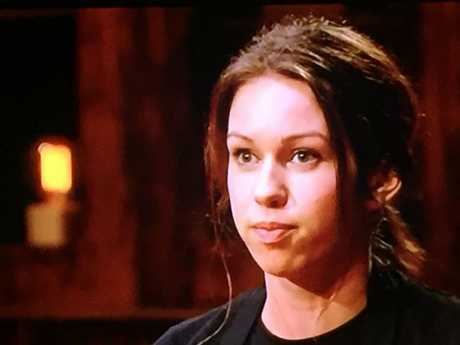 "You looked like you were physically shaking plating that up in the last...," Mehigan said. Sashi agreed, but for his large contingent of fans - they had nothing to worry about. While he'd "super sized" the dish, it was enough to keep him in the competition. Despite that, his fans tweeted their reactions as they felt his stress in their lounge chairs. "I'm so nervous I feel sick," one wrote. "If Sashi goes home I riot," another posted. MasterChef airs Sunday to Wednesday at 7.30pm on Ten.